SAMATVA, the ISR cell of SCMHRD, has been conducting E.A.R.N – Enable All to Revive and Nurture for the last four years. The earlier model of E.A.R.N involved earning money from external sources which was donated to NGOs working for rehabilitation of human trafficking victims. All first-year MBA students worked in stores across Pune for three days in the E.A.R.N drive conducted in previous years. The work comprised of utilizing their quantitative, analytical and managerial skills and assisting the store-owners in enhancing their business by marketing it on social media, engaging the customers and getting their feedback. At the same time, they spread awareness about human trafficking among the customers. Every year, E.A.R.N managed to come out with flying colours and attain its motive. This year, the team came up with a new model and collaborated directly with a Pune based NGO named FUEL (Friend’s Union for Emerging Lives). Having already worked with 3000+ schools and colleges across India, the mission of FUEL is to equip every student with equal education and career opportunities. It runs an education program for the financially weaker students in which a career assessment is conducted for them. It is followed by an eighteen-page personalized career assessment report, based on which counselling is done and the individual is introduced to multiple career opportunities. It also provides skill training, thereby increasing the employability of students. In this program, the students work on a wide range of live projects ranging from data analytics to Corporate Social Responsibility as well as entrepreneurial activities. 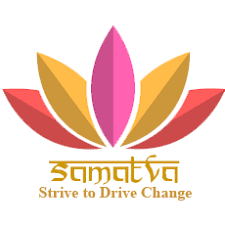 SAMATVA rolled out this year’s E.A.R.N drive on 29th November 2018. The main purpose of the visit was to create awareness about FUEL and promote its activities and services in different schools and colleges across Pune. A total of twenty-two institutes were targeted which included public schools as well as engineering, MBA, architecture and pharmaceutical colleges. The team got a chance to interact with the principals of these institutes who gave insights on the course curriculum of the students, the skill gap currently faced by them and other possible new initiatives and ideas which can be explored. A detailed discussion with college authorities helped them understand as to how students from various disciplines could benefit from FUEL’s programs and how undergraduate students would benefit from working with corporates by working on their live projects. Moreover, the team also got the chance to interact with the students who seemed interested in learning upcoming courses and were eager for better internship opportunities. On the whole, it was a truly enriching experience for the entire team. We were enthused by the response that we got from the institutes. Interacting with the principals and professors also helped us understand their work and responsibilities in greater detail and enabled us to appreciate the selfless efforts they put in for their students. We further strive to work tirelessly with many such initiatives and try to support the dreams of those who are not as resourceful and privileged as we are. Quiet an inspiring piece that focuses on the behavioural front of a profesional and got an important message about the importance of understanding your responsibility and a well execution of that throughout your career. Must read!!! !